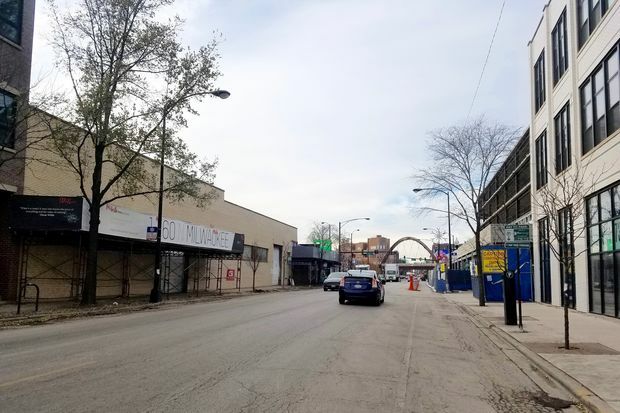 WICKER PARK/BUCKTOWN — A ban that previously prevented new liquor licenses along a two-block stretch of Milwaukee Avenue just north of the Milwaukee, Damen and North avenues intersection was lifted Wednesday. Ald. Scott Waguespack (32nd) introduced the proposal to lift the ban in November; it was passed on Wednesday by members of the City Council's Committee on License and Consumer Protection. The measure, an amendment to an existing ordinance, will allow for "additional alcoholic liquor licenses" on portions of Milwaukee Avenue, specifically between North and Bloomingdale Avenues. The two-block stretch from 1600 to 1700 North Milwaukee Avenue is considered to be both Wicker Park and Bucktown and is claimed by boosters of both neighborhoods. The northern border of the ban's boundaries is The 606, an elevated path that runs above Bloomingdale Avenue. Currently, the only liquor licenses between North and Milwaukee along Milwaukee Avenue are for The Tankard, a new bar that replaced Lucky's at 1635 N. Milwaukee Ave.; Small Cheval, a burger spot at 1732 N. Milwaukee Ave.; and Garfield Beverage Warehouse at 1704 N. Milwaukee Ave., which has a packaged goods license but is not a bar. The Robey and The Hollander, two boutique hotels that opened along the 1600 block of Milwaukee Avenue on Nov. 30, also have liquor licenses, but those licenses are for the North Avenue-facing sides of the vintage buildings. The Royal Palms Shuffleboard Club at 1760 N. Milwaukee Ave., which hopes to start construction in the spring or sooner, is planning to sell beer and wine. On Wednesday, Waguespack said he lifted the moratorium so that the shuffleboard club could sell liquor. But the move could also pave way for more bars along the strip. There are two empty commercial storefronts anchoring an eight-unit apartment building at 1739 N. Milwaukee Ave, as well as available space for rent on the first floor of LG Construction and Development's recently completed 36-unit apartment building at 1643-57 N. Milwaukee Ave.
Brian Goldberg, an executive with LG Development, said that his firm is planning to sign on a tavern as one of the apartment building's anchors, but details are not yet finalized. Goldberg thought the ban needed to be lifted. "I think it's a good thing to help stimulate growth in this specific area, which has been a bit neglected over the years as the southern part of Milwaukee [north of the intersection] in Wicker Park has really picked up some momentum," Goldberg said. Waguespack acknowledged that lifting the ban means other businesses in addition to the shuffleboard club can now apply for liquor licenses. "They can request, but they still have to go through the liquor-licensing [process]," Waguespack said.